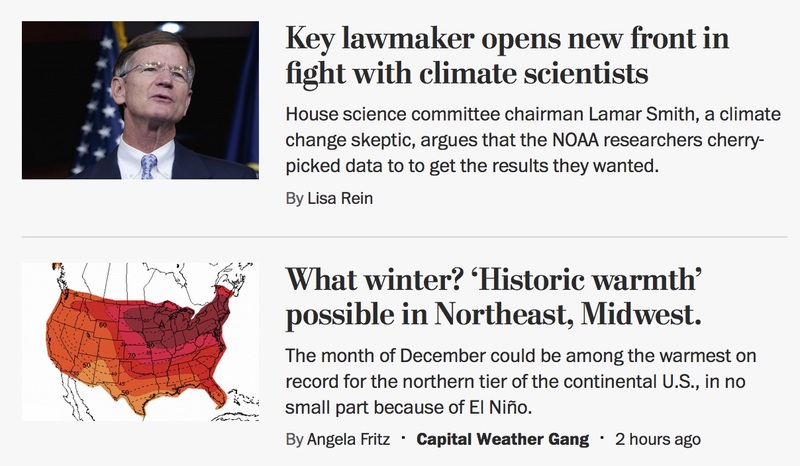 Aptly, today’s juxtaposition of stories comes from the Washington Post. One day into the COP21 UN climate change conference in Paris, France, US House of Representatives’ science committee chair Lamar Smith is still at it. He’s a leading climate change skeptic, an avid opponent of the NOAA (National Atmospheric and Oceanic Administration) and self-styled overlord of the National Science Foundation (NSF). While Representative Smith seeks to politicize and skewer science, intimidate scientists and trample on funding for climate science research (and other types of basic science funding), our planet continues to warm. If you’re an open-minded scientist or just concerned about our planet this is not good. So, it’s rather refreshing to see Representative Smith alongside a story showing that the month of December could be another temperature record breaker — the warmest on record for the northern tier of the continental US. Images courtesy of the Washington Post, November 30, 2015. You would not be correct in labeling the Catholic Church a hotbed of progressive thought. It’s very foundation is steeped in tradition and dogma. So, you could be forgiven for thinking that most secular politicians in the United States, of all stripes, would have a better grasp of current realities and even science than an establishment conservative church. Yet, the Vatican has just released a new papal encyclical, On Care For Our Common Home, on the environment that decries the ecological and humanitarian crisis wrought by climate change. You read this correctly — the pope seems to understand and embrace the science of climate change and the impact of humans. In addition to acceptance of scientific principle the encyclical paints our ongoing destruction of the planet and its climate as an issue of social justice. The pope is absolutely correct — the poor suffer unequally from the strife enabled and enacted by the rich. Ironically, many of the pope’s Republican followers — let’s call them crusading climate science deniers — in the US Congress are of another mind. They’ve been quite vociferous of late, arguing that the pope would best serve his flock by sticking to communion and keeping his nose out of scientific, environmental and political debate. I used to think that most Republicans, including Catholics, derived their denial of climate science — and perhaps most science — from a strict devotion to their god. But, now that one of God’s representatives on Earth backs mainstream climate science what are the Republican believers to do? Par for the course. One wonders where Governor Bush, Senator Inhofe and their colleagues actually do get there economic policy, and more importantly where do they learn about science, if any at all. We’ll have to leave the issue of social justice aside for now — one battle at a time. Dear God, you do work in such mysterious ways! An excerpt below from the Vatican’s encyclical on the environment. Read it in full here. 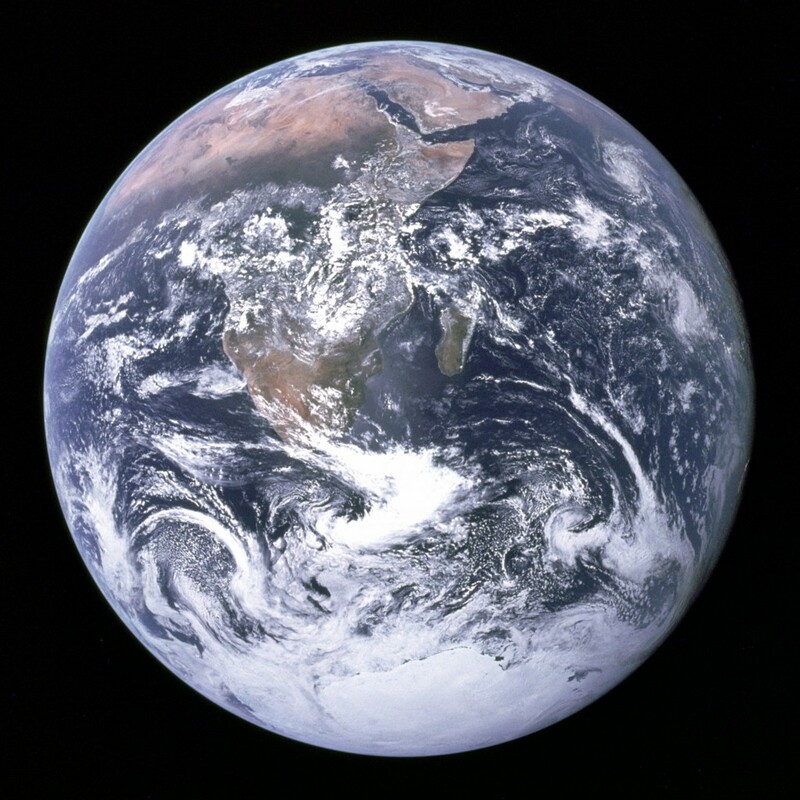 Image: “The Blue Marble”, iconic photograph of the Earth taken on December 7, 1972, by the crew of the Apollo 17 spacecraft en route to the Moon at a distance of about 29,000 kilometres (18,000 mi). Courtesy of NASA. Public domain. Over the coming years the words “Thwaites Glacier” will become known to many people, especially those who make their home near the world’s oceans. The thawing of Antarctic ice and the accelerating melting of its glaciers — of which Thwaites is a prime example — pose an increasing threat to our coasts, but imperil us all. Thwaites is one of size mega-glaciers that drain into the West Antarctic’s Amundsen Sea. If all were to melt completely, as they are continuing to do, global sea-level would be projected to rise an average of 4½ feet. Astonishingly, this catastrophe in the making has passed a tipping-point — climatologists and glaciologists now tend to agree that the melting is irreversible and accelerating. Today, researchers at UC Irvine and the Jet Propulsion Laboratory have announced results indicating that glaciers across a large area of West Antarctica have been destabilized and that there is little that will stop their continuing retreat. These glaciers are all that stand between the ocean and a massive basin of ice that sits below sea level. Should the sea invade this basin, we’d be committed to several meters of sea level rise. Even in the short term, the new findings should increase our estimates for sea level rise by the end of the century, the scientists suggest. But the ongoing process of retreat and destabilization will mean that the area will contribute to rising oceans for centuries. The press conference announcing these results is ongoing. We will have a significant update on this story later today. The glaciers in question are in West Antarctica, and drain into the Amundsen Sea. On the coastal side, the ends of the glacier are actually floating on ocean water. Closer to the coast, there’s what’s called a “grounding line,” where the weight of the ice above sea level pushes the bottom of the glacier down against the sea bed. From there on, back to the interior of Antarctica, all of the ice is directly in contact with the Earth. That’s a rather significant fact, given that, just behind a range of coastal hills, all of the ice is sitting in a huge basin that’s significantly below sea level. In total, the basin contains enough ice to raise sea levels approximately four meters, largely because the ice piled in there rises significantly above sea level. Because of this configuration, the grounding line of the glaciers that drain this basin act as a protective barrier, keeping the sea back from the base of the deeper basin. Once ocean waters start infiltrating the base of a glacier, the glacier melts, flows faster, and thins. This lessens the weight holding the glacier down, ultimately causing it to float, which hastens its break up. Since the entire basin is below sea level (in some areas by over a kilometer), water entering the basin via any of the glaciers could destabilize the entire thing. Thus, understanding the dynamics of the grounding lines is critical. Today’s announcements have been driven by two publications. One of them models the behavior of one of these glaciers, and shows that it has likely reached a point where it will be prone to a sudden retreat sometime in the next few centuries. The second examines every glacier draining this basin, and shows that all but one of them are currently losing contact with their grounding lines. The data come from two decades worth of data from the ESA’s Earth Remote Sensing satellites. These include radar that performs two key functions: peers through the ice to get a sense of the terrain that lies buried under the ice near the grounding line. And, through interferometry, it tracks the dynamics of the ice sheet’s flow in the area, as well as its thinning and the location of the grounding line itself. The study tracks a number of glaciers that all drain into the region: Pine Island, Thwaites, Haynes, and Smith/Kohler. As we’ve covered previously, the Pine Island Glacier came ungrounded in the second half of the past decade, retreating up to 31km in the process. 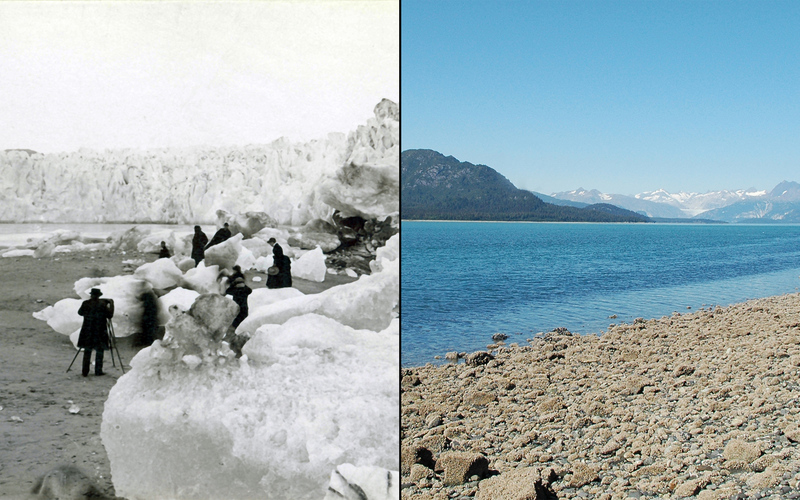 Although this was the one that made headlines, all the glaciers in the area are in retreat. Thwaites saw areas retreat up to 14km over the course of the study, Haynes retracted by 10km, and the Smith/Kohler glaciers retreated by 35km. The retreating was accompanied by thinning of the glaciers, as ice that had been held back above sea levels in the interior spread forward and thinned out. This contributed to sea level rise, and the speakers at the press conference agreed that the new data shows that the recently released IPCC estimates for sea level rise are out of date; even by the end of this century, the continuation of this process will significantly increase the rate of sea level rise we can expect. The real problem, however, comes later. Glaciers can establish new grounding lines if there’s a feature in the terrain, such as a hill that rises above sea level, that provides a new anchoring point. The authors see none: “Upstream of the 2011 grounding line positions, we find no major bed obstacle that would prevent the glaciers from further retreat and draw down the entire basin.” In fact, several of the existing grounding lines are close to points where the terrain begins to slope downward into the basin. As a result, the authors concluded that these glaciers are essentially destabilized—unless something changes radically, they’re destined for retreat into the indefinite future. But what will the trajectory of that retreat look like? In this case, the data doesn’t directly help. It needs to be fed into a model that projects the current melting into the future. Conveniently, a different set of scientists has already done this modeling. The work focuses on the Thwaites glacier, which appears to be the most stable: there are 60-80km before between the existing terminus and the deep basin, and two or three ridges within that distance that will allow the formation of new grounding lines. The authors simulated the behavior of Thwaites using a number of different melting rates. These ranged from a low that approximated the behavior typical in the early 90s, to a high rate of melt that is similar to what was observed in recent years. Every single one of these situations saw the Thwaites retreat into the deep basin within the next 1,000 years. In the higher melt scenarios—the ones most reflective of current conditions—this typically took only a few centuries. The other worrisome behavior is that there appeared to be a tipping point. In every simulation that saw an extensive retreat, rates of melting shifted from under 80 gigatonnes of ice per year to 150 gigatonnes or more, all within the span of a couple of decades. In the later conditions, this glacier alone contributed half a centimeter to sea level rise—every year. Image: Thwaites Glacier, Antarctica, 2012. Courtesy of NASA Earth Observatory. There is one thing wrong with the dystopian future painted by climate change science — it’s not in our future; it’s happening now. 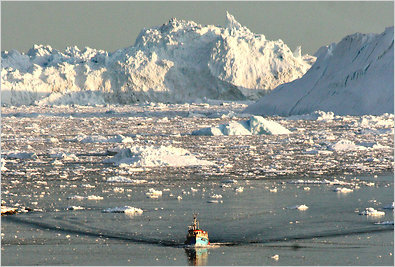 Image: Greenland ice melt. Courtesy of Christine Zenino / Smithsonian. The rise in the global sea level is not a disputable fact, as some would still have you believe. The sea level is rising and it is rising faster. It is a fact backed by evidence. Period. This fact has been established through continuous, independent and corroborated scientific studies in many nations across all continents by thousands of scientists. 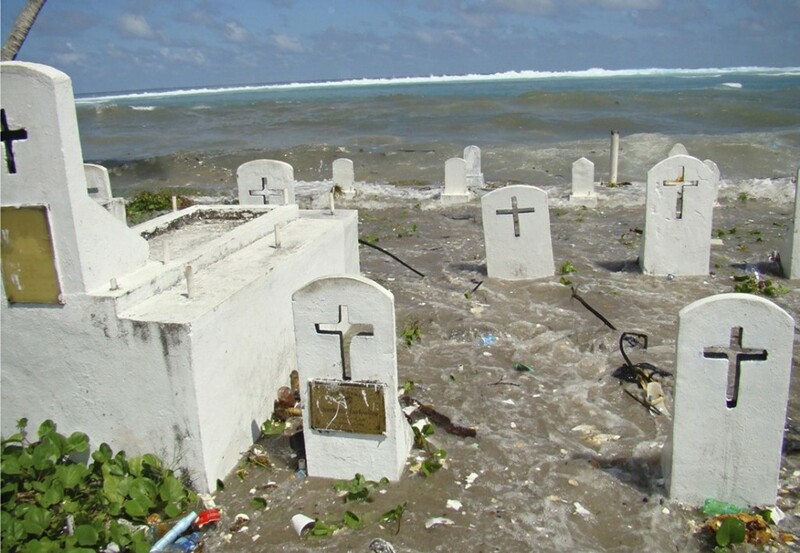 And, as the oceans rise communities that touch the water face increasing threats. A growing number of areas now have to plan and prepare for more frequent and more prolonged tidal erosion and storm surges. Worse still, some communities, in increasing numbers, have to confront the prospect of complete resettlement caused by the real danger of prolonged and irreversible flooding. Today it may be some of the low lying areas of Norfolk, Virginia or a remote Pacific Island; tomorrow it may be all of downtown Miami and much of the Eastern Seaboard of the US. Much of the population and economy of the country is concentrated on the East Coast., which the accumulating scientific evidence suggests will be a global hot spot for a rising sea level over the coming century. The detective work has required scientists to grapple with the influence of ancient ice sheets, the meaning of islands that are sinking in Chesapeake Bay, and even the effect of a giant meteor that slammed into the earth. The evidence suggests that the sea-level rise has probably accelerated, to about a foot a century, and scientists think it will accelerate still more with the continued emission of large amounts of greenhouse gases into the air. The gases heat the planet and cause land ice to melt into the sea. The official stance of the world’s climate scientists is that the global sea level could rise as much as three feet by the end of this century, if emissions continue at a rapid pace. But some scientific evidence supports even higher numbers, five feet and beyond in the worst case. 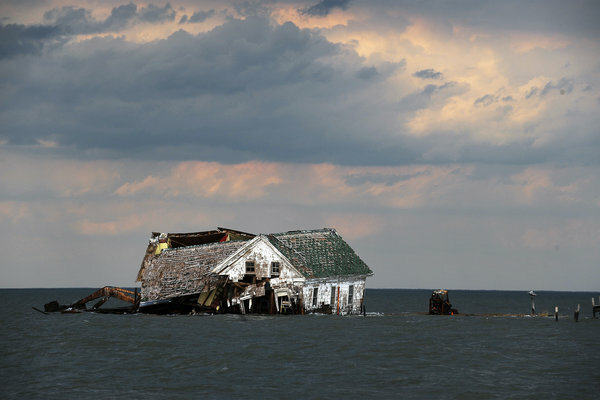 Image: The last house on Holland Island in Chesapeake Bay, which once had a population of almost 400, finally toppled in October 2010. Courtesy of Astrid Riecken for The Washington Post. Call it what you may, but regardless of labels most climate scientists agree that our future weather systems are much more likely to be more extreme: more prolonged and more violent. If there was one overarching point that the fifth Intergovernmental Panel on Climate Change report took pains to stress, it was that the degree of change in the global climate system since the mid-1950s is unusual in scope. Depending on what exactly you measure, the planet hasn’t seen conditions like these for decades to millennia. But that conclusion leaves us with a question: when exactly can we expect the climate to look radically new, with features that have no historical precedent? The answer, according to a modeling study published in this week’s issue of Nature, is “very soon”—as soon as 2047 under a “business-as-usual” emission scenario and only 22 years later under a reduced emissions scenario. Tropical countries will likely be the first to enter this new age of climatic erraticness and could experience extreme temperatures monthly after 2050. This, the authors argue, underscores the need for robust efforts targeted not only at protecting those vulnerable countries but also the rich biodiversity that they harbor. Before attempting to peer into the future, the authors, led by the University of Hawaii’s Camilo Mora, first had to ensure that they could accurately replicate the recent past. To do so, they pooled together the predictive capabilities of 39 different models, using near-surface air temperature as their indicator of choice. For each model, they established the bounds of natural climate variability as the minimum and maximum values attained between 1860 and 2005. Simultaneously crunching the outputs from all of these models proved to be the right decision, as Mora and his colleagues consistently found that a multi-model average best fit the real data. Next, they turned to two widely used emission scenarios, or Representative Concentration Pathways (RCP) as they’re known in modeling vernacular, to predict the arrival of different climates over a period extending from 2006 to 2100. The first scenario, RCP45, assumes a concerted mitigation initiative and anticipates CO2 concentrations of up to 538 ppm by 2100 (up from the current 393 ppm). The second, RCP85, is the trusty “business-as-usual” scenario that anticipates concentrations of up to 936 ppm by the same year. While testing the sensitivity of their index, Mora and his colleagues concluded that the length of the reference period—the number of years between 1860 and 2005 used as a basis for establishing the limits of historical climate variability—had no effect on the ultimate outcome. A longer period would include more instances of temperature extremes, both low and high, so you would expect that it would yield a broader range of limits. That would mean that any projections of extreme future events might not seem so extreme by comparison. In practice, it didn’t matter whether the authors used 20 years or 140 years as the length of their reference period. What did matter, they found, was the number of consecutive years where the climate was out of historical bounds. This makes intuitive sense: if you consider fewer consecutive years, the departure from “normal” will come sooner. Rather than pick one arbitrary number of consecutive years versus another, the authors simply used all of the possible values from each of the 39 models. That accounts for the relatively large standard deviations in the estimated starting dates of exceptional climates—18 years for the RCP45 scenario and 14 years for the RCP85 scenario. That means that the first clear climate shift could occur as early as 2033 or as late as 2087. Though temperature served as the main proxy for climate in their study, the authors also analyzed four other variables for the atmosphere and two for the ocean. These included evaporation, transpiration, sensible heat flux (the conductive transfer of heat from the planet’s surface to the atmosphere) and precipitation, as well as sea surface temperature and surface pH in the ocean. Replacing temperature with, or considering it alongside, any of the other four variables for atmosphere did not change the timing of climate departures. This is because temperature is the most sensitive variable and therefore also the earliest to exceed the normal bounds of historical variability. When examining the ocean through the prism of sea surface temperature, the researchers determined that it would reach its tipping point by 2051 or 2072 under the RCP85 and RCP45 scenarios, respectively. However, when they considered both sea surface temperature and surface pH together, the estimated tipping point was moved all the way up to this decade. Seawater pH has an extremely narrow range of historical variability, and it moved out of this range 5 years ago, which caused the year of the climate departure to jump forward several decades. This may be an extreme case, but it serves as a stark reminder that the ocean is already on the edge of uncharted territory. Three feet. Three feet is nothing you say. Three feet is less than the difference between the shallow and deep ends of most swimming pools. Well, when the three feet is the mean ocean level rise it becomes a little more significant. And, when that three feet is the rise predicted to happen within the next 87 years, by 2100, it’s, well, how do you say, catastrophic. A rise like that and you can kiss goodbye to your retirement home in Miami, and for that matter, kiss goodbye to much of southern Florida, and many coastal communities around the world. The scientists, whose findings are reported in a summary of the next big United Nations climate report, largely dismiss a recent slowdown in the pace of warming, which is often cited by climate change contrarians, as probably related to short-term factors. The report emphasizes that the basic facts giving rise to global alarm about future climate change are more established than ever, and it reiterates that the consequences of runaway emissions are likely to be profound. The “extremely likely” language is stronger than in the last major United Nations report, published in 2007, and it means the authors of the draft document are now 95 percent to 100 percent confident that human activity is the primary influence on planetary warming. In the 2007 report, they said they were 90 percent to 100 percent certain on that issue. On another closely watched issue, however, the authors retreated slightly from their 2007 position. On the question of how much the planet could warm if carbon dioxide levels in the atmosphere doubled, the previous report had largely ruled out any number below 3.6 degrees Fahrenheit. The new draft says the rise could be as low as 2.7 degrees, essentially restoring a scientific consensus that prevailed from 1979 to 2007. Most scientists see only an outside chance that the warming will be as low as either of those numbers, with the published evidence suggesting that an increase above 5 degrees Fahrenheit is likely if carbon dioxide doubles. The new document is not final and will not become so until an intensive, closed-door negotiating session among scientists and government leaders in Stockholm in late September. But if the past is any guide, most of the core findings of the document will survive that final review. The document was leaked over the weekend after it was sent to a large group of people who had signed up to review it. It was first reported on in detail by the Reuters news agency, and The New York Times obtained a copy independently to verify its contents. It was prepared by the Intergovernmental Panel on Climate Change, a large, international group of scientists appointed by the United Nations. The group does no original research, but instead periodically assesses and summarizes the published scientific literature on climate change. The intergovernmental panel won the Nobel Peace Prize along with Al Gore in 2007 for seeking to educate the world’s citizens about the risks of global warming. But it has also become a political target for climate contrarians, who helped identify several minor errors in the last big report from 2007. This time, the group adopted rigorous procedures in hopes of preventing such mistakes. On sea level, one of the biggest single worries about climate change, the new report goes well beyond the one from 2007, which largely sidestepped the question of how much the ocean could rise this century. The new report lays out several scenarios. In the most optimistic, the world’s governments would prove far more successful at getting emissions under control than they have been in the recent past, helping to limit the total warming. In that circumstance, sea level could be expected to rise as little as 10 inches by the end of the century, the report found. That is a bit more than the eight-inch rise in the 20th century, which proved manageable even though it caused severe erosion along the world’s shorelines. More CO2 is Good, Right? Yesterday, May 10, 2013, scientists published new measures of atmospheric carbon dioxide (CO2). For the first time in human history CO2 levels reached an average of 400 parts per million (ppm). This is particularly troubling since CO2 has long been known as the most potent heat trapping component of the atmosphere. The sobering milestone was recorded from the Mauna Loa Observatory in Hawaii — monitoring has been underway at the site since the mid-1950s. This has many climate scientists re-doubling their efforts to warn of the consequences of climate change, which is believed to be driven by human activity and specifically the generation of atmospheric CO2 in ever increasing quantities. But not to be outdone, the venerable Wall Street Journal — seldom known for its well-reasoned scientific journalism — chimed in with an op-ed on the subject. According to the WSJ we have nothing to worry about because increased levels of CO2 are good for certain crops and the Earth had historically much higher levels of CO2 (though pre-humanity). Since we were discussing the differences between climate change “skeptics” and “deniers” (or “denialists”, whatever you want to call them) the other day this piece is timely. The Wall Street Journal is not exactly known for reasoned discussion of climate change, but this Op-Ed piece may set a new standard even for its own naysayers and skeptics. It’s a piece by William Happer and Harrison Schmitt that’s so one-sided, sparse on detail, misleading and ultimately pointless that I am wondering if it’s a spoof. Happer and Schmitt’s thesis can be summed up in one line: More CO2 in the atmosphere is a good thing because it’s good for one particular type of crop plant. That’s basically it. No discussion of the downsides, not even a pretense of a balanced perspective. Unfortunately it’s not hard to classify their piece as a denialist article because it conforms to some of the classic features of denial; it’s entirely one sided, it’s very short on detail, it does a poor job even with the little details that it does present and it simply ignores the massive amount of research done on the topic. In short it’s grossly misleading. First of all Happer and Schmitt simply dismiss any connection that might exist between CO2 levels and rising temperatures, in the process consigning a fair amount of basic physics and chemistry to the dustbin. There are no references and no actual discussion of why they don’t believe there’s a connection. That’s a shoddy start to put it mildly; you would expect a legitimate skeptic to start with some actual evidence and references. Most of the article after that consists of a discussion of the differences between so-called C3 plants (like rice) and C4 plants (like corn and sugarcane). This is standard stuff found in college biochemistry textbooks, nothing revealing here. But Happer and Schmitt leverage a fundamental difference between the two – the fact that C4 plants can utilize CO2 more efficiently than C3 plants under certain conditions – into an argument for increasing CO2 levels in the atmosphere. This of course completely ignores all the other potentially catastrophic effects that CO2 could have on agriculture, climate, biodiversity etc. You don’t even have to be a big believer in climate change to realize that focusing on only a single effect of a parameter on a complicated system is just bad science. Happer and Schmitt’s argument is akin to the argument that everyone should get themselves addicted to meth because one of meth’s effects is euphoria. So ramping up meth consumption will make everyone feel happier, right? But it is not quite that simple. Surprisingly, the C4 strategy first became common in the repeated ice ages that began about four million years ago. This was because the ice ages were a very dry time in the tropics and carbon-dioxide levels were very low—about half today’s levels. C4 plants are better at scavenging carbon dioxide (the source of carbon for sugars) from the air and waste much less water doing so. In each glacial cold spell, forests gave way to seasonal grasslands on a huge scale. Only about 4% of plant species use C4, but nearly half of all grasses do, and grasses are among the newest kids on the ecological block. So whereas rising temperatures benefit C4, rising carbon-dioxide levels do not. In fact, C3 plants get a greater boost from high carbon dioxide levels than C4. Nearly 500 separate experiments confirm that if carbon-dioxide levels roughly double from preindustrial levels, rice and wheat yields will be on average 36% and 33% higher, while corn yields will increase by only 24%. So no, the situation is more subtle than the authors think. In fact I am surprised that, given that C4 plants actually do grow better at higher temperatures, Happer and Schmitt missed an opportunity for making the case for a warmer planet. In any case, there’s a big difference between improving yields of C4 plants under controlled greenhouse conditions and expecting these yields to improve without affecting other components of the ecosystem by doing a giant planetary experiment. Image courtesy of Sierra Club. Experimental physicist David Keith has a plan: dump hundreds of thousands of tons of atomized sulfuric acid into the upper atmosphere; watch the acid particles reflect additional sunlight; wait for global temperature to drop. Many of Keith’s peers think this geoengineering scheme is crazy, least of which are the possible unknown and unmeasured side-effects, but this hasn’t stopped the healthy debate. One thing is becoming increasingly clear — humans need to take collective action. Here is the plan. Customize several Gulfstream business jets with military engines and with equipment to produce and disperse fine droplets of sulfuric acid. Fly the jets up around 20 kilometers—significantly higher than the cruising altitude for a commercial jetliner but still well within their range. At that altitude in the tropics, the aircraft are in the lower stratosphere. The planes spray the sulfuric acid, carefully controlling the rate of its release. The sulfur combines with water vapor to form sulfate aerosols, fine particles less than a micrometer in diameter. These get swept upward by natural wind patterns and are dispersed over the globe, including the poles. Once spread across the stratosphere, the aerosols will reflect about 1 percent of the sunlight hitting Earth back into space. Increasing what scientists call the planet’s albedo, or reflective power, will partially offset the warming effects caused by rising levels of greenhouse gases. The author of this so-called geoengineering scheme, David Keith, doesn’t want to implement it anytime soon, if ever. Much more research is needed to determine whether injecting sulfur into the stratosphere would have dangerous consequences such as disrupting precipitation patterns or further eating away the ozone layer that protects us from damaging ultraviolet radiation. Even thornier, in some ways, are the ethical and governance issues that surround geoengineering—questions about who should be allowed to do what and when. Still, Keith, a professor of applied physics at Harvard University and a leading expert on energy technology, has done enough analysis to suspect it could be a cheap and easy way to head off some of the worst effects of climate change. According to Keith’s calculations, if operations were begun in 2020, it would take 25,000 metric tons of sulfuric acid to cut global warming in half after one year. Once under way, the injection of sulfuric acid would proceed continuously. By 2040, 11 or so jets delivering roughly 250,000 metric tons of it each year, at an annual cost of $700 million, would be required to compensate for the increased warming caused by rising levels of carbon dioxide. By 2070, he estimates, the program would need to be injecting a bit more than a million tons per year using a fleet of a hundred aircraft. One of the startling things about Keith’s proposal is just how little sulfur would be required. A few grams of it in the stratosphere will offset the warming caused by a ton of carbon dioxide, according to his estimate. And even the amount that would be needed by 2070 is dwarfed by the roughly 50 million metric tons of sulfur emitted by the burning of fossil fuels every year. Most of that pollution stays in the lower atmosphere, and the sulfur molecules are washed out in a matter of days. In contrast, sulfate particles remain in the stratosphere for a few years, making them more effective at reflecting sunlight. The idea of using sulfate aerosols to offset climate warming is not new. Crude versions of the concept have been around at least since a Russian climate scientist named Mikhail Budkyo proposed the idea in the mid-1970s, and more refined descriptions of how it might work have been discussed for decades. These days the idea of using sulfur particles to counteract warming—often known as solar radiation management, or SRM—is the subject of hundreds of papers in academic journals by scientists who use computer models to try to predict its consequences. But Keith, who has published on geoengineering since the early 1990s, has emerged as a leading figure in the field because of his aggressive public advocacy for more research on the technology—and his willingness to talk unflinchingly about how it might work. Add to that his impeccable academic credentials—last year Harvard lured him away from the University of Calgary with a joint appointment in the school of engineering and the Kennedy School of Government—and Keith is one of the world’s most influential voices on solar geoengineering. He is one of the few who have done detailed engineering studies and logistical calculations on just how SRM might be carried out. And if he and his collaborator James ­Anderson, a prominent atmospheric chemist at Harvard, gain public funding, they plan to conduct some of the first field experiments to assess the risks of the technique. The overriding reason why Keith and other scientists are exploring solar geoengineering is simple and well documented, though often overlooked: the warming caused by atmospheric carbon dioxide buildup is for all practical purposes irreversible, because the climate change is directly related to the total cumulative emissions. Even if we halt carbon dioxide emissions entirely, the elevated concentrations of the gas in the atmosphere will persist for decades. And according to recent studies, the warming itself will continue largely unabated for at least 1,000 years. If we find in, say, 2030 or 2040 that climate change has become intolerable, cutting emissions alone won’t solve the problem. No pithy headline. The latest U.S. National Climate Assessment makes sobering news. The full 1,146 page report is available for download here. Over the next 30 years (and beyond), it warns of projected sea-level rises along the Eastern Seaboard of the United States, warmer temperatures across much of the nation, and generally warmer and more acidic oceans. 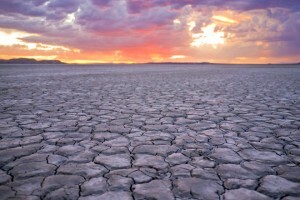 More worrying still are the less direct consequences of climate change: increased threats to human health due to severe weather such as storms, drought and wildfires; more vulnerable infrastructure in regions subject to increasingly volatile weather; and rising threats to regional stability and national security due to a less reliable national and global water supply. 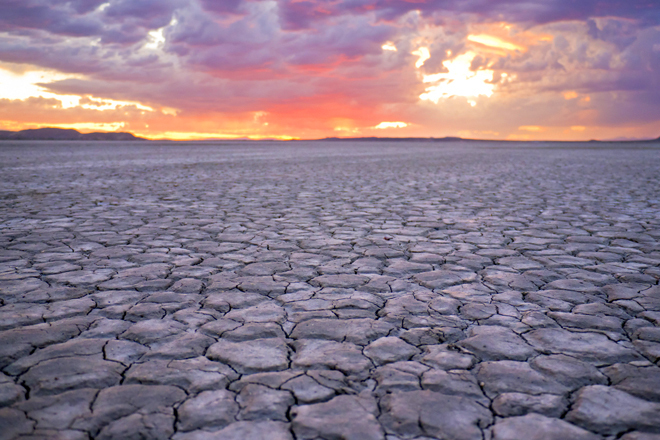 The consequences of climate change are now hitting the United States on several fronts, including health, infrastructure, water supply, agriculture and especially more frequent severe weather, a congressionally mandated study has concluded. A draft of the U.S. National Climate Assessment, released on Friday, said observable change to the climate in the past half-century “is due primarily to human activities, predominantly the burning of fossil fuel,” and that no areas of the United States were immune to change. Months after Superstorm Sandy hurtled into the U.S. East Coast, causing billions of dollars in damage, the report concluded that severe weather was the new normal. “Certain types of weather events have become more frequent and/or intense, including heat waves, heavy downpours, and, in some regions, floods and droughts,” the report said, days after scientists at the National Oceanic and Atmospheric Administration declared 2012 the hottest year ever in the United States. Some environmentalists looked for the report to energize climate efforts by the White House or Congress, although many Republican lawmakers are wary of declaring a definitive link between human activity and evidence of a changing climate. The U.S. Congress has been mostly silent on climate change since efforts to pass “cap-and-trade” legislation collapsed in the Senate in mid-2010. The advisory committee behind the report was established by the U.S. Department of Commerce to integrate federal research on environmental change and its implications for society. It made two earlier assessments, in 2000 and 2009. Thirteen departments and agencies, from the Agriculture Department to NASA, are part of the committee, which also includes academics, businesses, nonprofits and others. The report noted that of an increase in average U.S. temperatures of about 1.5 degrees F (.83 degree C) since 1895, when reliable national record-keeping began, more than 80 percent had occurred in the past three decades. With heat-trapping gases already in the atmosphere, temperatures could rise by a further 2 to 4 degrees F (1.1 to 2.2 degrees C) in most parts of the country over the next few decades, the report said. It’s no surprise that in our daily lives we seek information that reinforces our perceptions, opinions and beliefs of the world around us. It’s also the case that if we do not believe in a particular position, we will overlook any evidence in our immediate surroundings that runs contrary to our disbelief — climate change is no different. We all know it’s hard to change someone’s mind. In an ideal, rational world, a person’s opinion about some topic would be based on several pieces of evidence. If you were to supply that person with several pieces of stronger evidence that point in another direction, you might expect them to accept the new information and agree with you. However, this is not that world, and rarely do we find ourselves in a debate with Star Trek’s Spock. There are a great many reasons that we behave differently. One is the way we rate incoming information for trustworthiness and importance. Once we form an opinion, we rate information that confirms our opinion more highly than information that challenges it. This is one form of “motivated reasoning.” We like to think we’re right, and so we are motivated to come to the conclusion that the facts are still on our side. Publicly contentious issues often put a spotlight on these processes—issues like climate change, example. In a recent paper published in Nature Climate Change, researchers from George Mason and Yale explore how motivated reasoning influences whether people believe they have personally experienced the effects of climate change. When it comes to communicating the science of global warming, a common strategy is to focus on the concrete here-and-now rather than the abstract and distant future. The former is easier for people to relate to and connect with. Glazed eyes are the standard response to complicated graphs of projected sea level rise, with ranges of uncertainty and several scenarios of future emissions. Show somebody that their favorite ice fishing spot is iced over for several fewer weeks each winter than it was in the late 1800s, though, and you might have their attention. The survey used for this study was unique in that the same people were polled twice, two and a half years apart, to see how their views changed over time. For the group as a whole, there was evidence for both possibilities—experience affected acceptance, and acceptance predicted statements about experience. Fortunately, the details were a bit more interesting than that. When you categorize individuals by engagement—essentially how confident and knowledgeable they feel about the facts of the issue—differences are revealed. 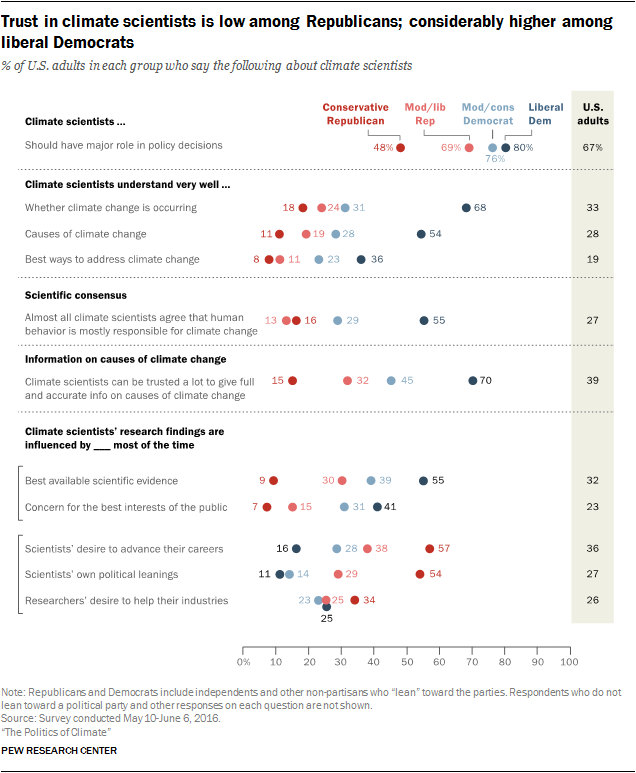 For the highly-engaged groups (on both sides), opinions about whether climate is warming appeared to drive reports of personal experience. That is, motivated reasoning was prevalent. On the other hand, experience really did change opinions for the less-engaged group, and motivated reasoning took a back seat. Two recent studies report that the world (i.e., humans) could meet its entire electrical energy needs from several million wind turbines. Is there not enough wind blowing across the planet to satiate our demands for electricity? If there is, would harnessing that much of it begin to actually affect the climate? Two studies published this week tried to answer these questions. Long story short: we could supply all our power needs for the foreseeable future from wind, all without affecting the climate in a significant way. The first study, published in this week’s Nature Climate Change, was performed by Kate Marvel of Lawrence Livermore National Laboratory with Ben Kravitz and Ken Caldeira of the Carnegie Institution for Science. Their goal was to determine a maximum geophysical limit to wind power—in other words, if we extracted all the kinetic energy from wind all over the world, how much power could we generate? In order to calculate this power limit, the team used the Community Atmosphere Model (CAM), developed by National Center for Atmospheric Research. Turbines were represented as drag forces removing momentum from the atmosphere, and the wind power was calculated as the rate of kinetic energy transferred from the wind to these momentum sinks. By increasing the drag forces, a power limit was reached where no more energy could be extracted from the wind. The authors found that at least 400 terawatts could be extracted by ground-based turbines—represented by drag forces on the ground—and 1,800 terawatts by high-altitude turbines—represented by drag forces throughout the atmosphere. For some perspective, the current global power demand is around 18 terawatts. The second study, published in the Proceedings of the National Academy of Sciences by Mark Jacobsen at Stanford and Cristina Archer at the University of Delaware, asked some more practical questions about the limits of wind power. For example, rather than some theoretical physical limit, what is the maximum amount of power that could actually be extracted by real turbines? For one thing, turbines can’t extract all the kinetic energy from wind—no matter the design, 59.3 percent, the Betz limit, is the absolute maximum. Less-than-perfect efficiencies based on the specific turbine design reduce the extracted power further. Another important consideration is that, for a given area, you can only add so many turbines before hitting a limit on power extraction—the area is “saturated,” and any power increase you get by adding any turbines ends up matched by a drop in power from existing ones. This happens because the wakes from turbines near each other interact and reduce the ambient wind speed. Jacobsen and Archer expanded this concept to a global level, calculating the saturation wind power potential for both the entire globe and all land except Antarctica. Like the first study, this one considered both surface turbines and high-altitude turbines located in the jet stream. Unlike the model used in the first study, though, these were placed at specific altitudes: 100 meters, the hub height of most modern turbines, and 10 kilometers. The authors argue improper placement will lead to incorrect reductions in wind speed. Jacobsen and Archer found that, with turbines placed all over the planet, including the oceans, wind power saturates at about 250 terawatts, corresponding to nearly three thousand terawatts of installed capacity. If turbines are just placed on land and shallow offshore locations, the saturation point is 80 terawatts for 1,500 installed terawatts of installed power. For turbines at the jet-stream height, they calculated a maximum power of nearly 400 terawatts—about 150 percent of that at 100 meters. These results show that, even at the saturation point, we could extract enough wind power to supply global demands many times over. Unfortunately, the numbers of turbines required aren’t plausible—300 million five-megawatt turbines in the smallest case (land plus shallow offshore). THE blackouts that left hundreds of millions of Indians sweltering in the dark last month underscored the status of air-conditioning as one of the world’s most vexing environmental quandaries. Fact 1: Nearly all of the world’s booming cities are in the tropics and will be home to an estimated one billion new consumers by 2025. As temperatures rise, they — and we — will use more air-conditioning. Fact 2: Air-conditioners draw copious electricity, and deliver a double whammy in terms of climate change, since both the electricity they use and the coolants they contain result in planet-warming emissions. Fact 3: Scientific studies increasingly show that health and productivity rise significantly if indoor temperature is cooled in hot weather. So cooling is not just about comfort. Sum up these facts and it’s hard to escape: Today’s humans probably need air-conditioning if they want to thrive and prosper. Yet if all those new city dwellers use air-conditioning the way Americans do, life could be one stuttering series of massive blackouts, accompanied by disastrous planet-warming emissions. We can’t live with air-conditioning, but we can’t live without it. It is easy to decry the problem but far harder to know what to do, especially in a warming world where people in the United States are using our existing air-conditioners more often. The number of cooling degree days — a measure of how often cooling is needed — was 17 percent above normal in the United States in 2010, according to the Environmental Protection Agency, leading to “an increase in electricity demand.” This July was the hottest ever in the United States. Likewise, the blackouts in India were almost certainly related to the rising use of air-conditioning and cooling, experts say, even if the immediate culprit was a grid that did not properly balance supply and demand. The late arrival of this year’s monsoons, which normally put an end to India’s hottest season, may have devastated the incomes of farmers who needed the rain. But it “put smiles on the faces of those who sell white goods — like air-conditioners and refrigerators — because it meant lots more sales,” said Rajendra Shende, chairman of the Terre Policy Center in Pune, India. “Cooling is the craze in India — everyone loves cool temperatures and getting to cool temperatures as quickly as possible,” Mr. Shende said. He said that cooling has become such a cultural priority that rather than advertise a car’s acceleration, salesmen in India now emphasize how fast its air-conditioner can cool. Scientists are scrambling to invent more efficient air-conditioners and better coolant gases to minimize electricity use and emissions. But so far the improvements have been dwarfed by humanity’s rising demands. And recent efforts to curb the use of air-conditioning, by fiat or persuasion, have produced sobering lessons. Melting glaciers at the poles, wildfires in the western United States, severe flooding across Europe and parts of Asia, hurricanes in northern Australia, warmer temperatures across the globe. According to a many climatologists, including a growing number of ex-climate change skeptics, this is the new normal for our foreseeable future. Welcome to the changed climate. A climate change skeptic recants. Of course, disbelievers in human-influenced climate change will point to the fact that physicist Richard Muller used an op-ed in the New York Times as evidence of flagrant falsehood and unmitigated bias. Several years ago Muller set up the Berkeley Earth project, to collect and analyze land-surface temperature records from sources independent of NASA and NOAA. Convinced, at the time, that climate change researchers had the numbers all wrong, Muller and team set out to find the proof. Author and environmentalist Bill McKibben has been writing about climate change and environmental issues for over 20 years. His first book, The End of Nature, was published in 1989, and is considered to be the first book aimed at the general public on the subject of climate change. In his latest essay in Rolling Stone, which we excerpt below, McKibben offers a sobering assessment based on our current lack of action on a global scale. He argues that in the face of governmental torpor, and with individual action being almost inconsequential (at this late stage), only a radical re-invention of our fossil-fuel industries — to energy companies in the broad sense — can bring significant and lasting change. Learn more about Bill McKibben, here. On July 16, 2012 the Petermann Glacier in Greenland calved another gigantic island of ice, about twice the size of Manhattan in New York, or about 46 square miles. 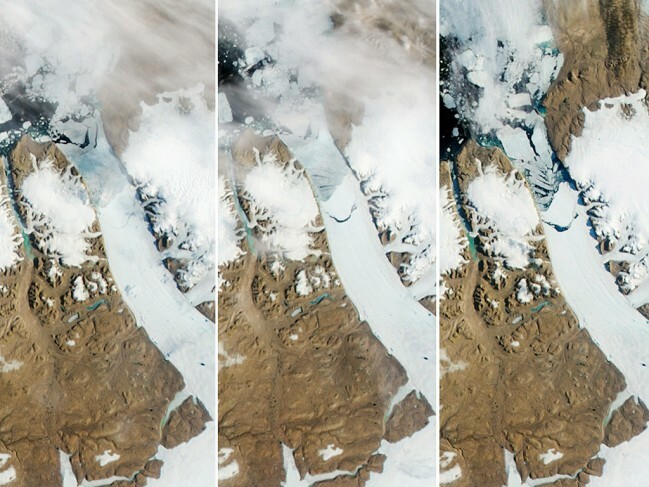 Climatologists armed with NASA satellite imagery have been following the glacier for many years, and first spotted the break-off point around 8 years ago. 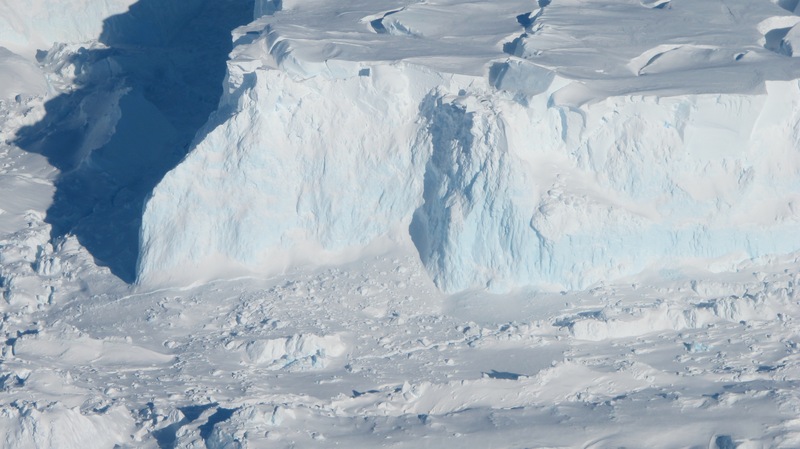 The Petermann Glacier calved a previous huge iceberg, twice this size, in 2010. According to NASA average temperatures in northern Greenland and the Canadian Arctic have increased by about 4 degrees Fahrenheit in the last 30 years. So, driven by climate change or not, regardless of whether it is short-term or long-term, temporary or irreversible, man-made or a natural cycle, the trend is clear — the Arctic is warming, the ice cap is shrinking and sea-levels are rising. STANDING ON THE Greenland ice cap, it is obvious why restless modern man so reveres wild places. Everywhere you look, ice draws the eye, squeezed and chiselled by a unique coincidence of forces. Gormenghastian ice ridges, silver and lapis blue, ice mounds and other frozen contortions are minutely observable in the clear Arctic air. The great glaciers impose order on the icy sprawl, flowing down to a semi-frozen sea. The ice cap is still, frozen in perturbation. There is not a breath of wind, no engine’s sound, no bird’s cry, no hubbub at all. Instead of noise, there is its absence. You feel it as a pressure behind the temples and, if you listen hard, as a phantom roar. For generations of frosty-whiskered European explorers, and still today, the ice sheet is synonymous with the power of nature. The Arctic is one of the world’s least explored and last wild places. Even the names of its seas and rivers are unfamiliar, though many are vast. Siberia’s Yenisey and Lena each carries more water to the sea than the Mississippi or the Nile. Greenland, the world’s biggest island, is six times the size of Germany. Yet it has a population of just 57,000, mostly Inuit scattered in tiny coastal settlements. In the whole of the Arctic—roughly defined as the Arctic Circle and a narrow margin to the south (see map)—there are barely 4m people, around half of whom live in a few cheerless post-Soviet cities such as Murmansk and Magadan. In most of the rest, including much of Siberia, northern Alaska, northern Canada, Greenland and northern Scandinavia, there is hardly anyone. Yet the region is anything but inviolate. A heat map of the world, colour-coded for temperature change, shows the Arctic in sizzling maroon. 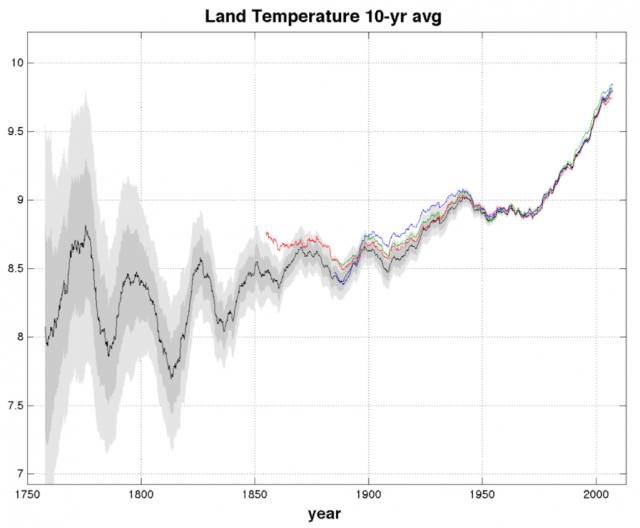 Since 1951 it has warmed roughly twice as much as the global average. In that period the temperature in Greenland has gone up by 1.5°C, compared with around 0.7°C globally. This disparity is expected to continue. A 2°C increase in global temperatures—which appears inevitable as greenhouse-gas emissions soar—would mean Arctic warming of 3-6°C. Almost all Arctic glaciers have receded. The area of Arctic land covered by snow in early summer has shrunk by almost a fifth since 1966. But it is the Arctic Ocean that is most changed. In the 1970s, 80s and 90s the minimum extent of polar pack ice fell by around 8% per decade. Then, in 2007, the sea ice crashed, melting to a summer minimum of 4.3m sq km (1.7m square miles), close to half the average for the 1960s and 24% below the previous minimum, set in 2005. This left the north-west passage, a sea lane through Canada’s 36,000-island Arctic Archipelago, ice-free for the first time in memory. Scientists, scrambling to explain this, found that in 2007 every natural variation, including warm weather, clear skies and warm currents, had lined up to reinforce the seasonal melt. But last year there was no such remarkable coincidence: it was as normal as the Arctic gets these days. And the sea ice still shrank to almost the same extent. There is no serious doubt about the basic cause of the warming. It is, in the Arctic as everywhere, the result of an increase in heat-trapping atmospheric gases, mainly carbon dioxide released when fossil fuels are burned. Because the atmosphere is shedding less solar heat, it is warming—a physical effect predicted back in 1896 by Svante Arrhenius, a Swedish scientist. 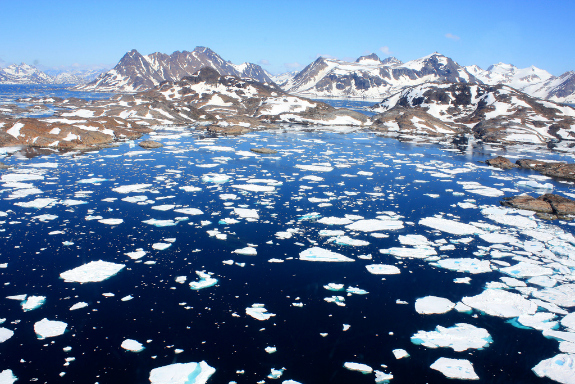 But why is the Arctic warming faster than other places? Consider, first, how very sensitive to temperature change the Arctic is because of where it is. In both hemispheres the climate system shifts heat from the steamy equator to the frozen pole. But in the north the exchange is much more efficient. This is partly because of the lofty mountain ranges of Europe, Asia and America that help mix warm and cold fronts, much as boulders churn water in a stream. Antarctica, surrounded by the vast southern seas, is subject to much less atmospheric mixing. King Canute or Mother Nature in North Carolina, Virginia, Texas? Legislators in North Carolina recently went one better than King C’Nut (Canute). The king of Denmark, England, Norway and parts of Sweden during various periods between 1018 and 1035, famously and unsuccessfully tried to hold back the incoming tide. The now mythic story tells of Canute’s arrogance. Not to be outdone, North Carolina’s state legislature recently passed a law that bans state agencies from reporting that sea-level rise is accelerating. This comes hot on the heals of the recent revisionist push in Virginia where references to phrases such as “sea level rise” and “climate change” are forbidden in official state communications. Last year of course, Texas led the way for other states following the climate science denial program when the Texas Commission on Environmental Quality, which had commissioned a scientific study of Galveston Bay, removed all references to “rising sea levels”. For more detailed reporting on this unsurprising and laughable state of affairs check out this article at Skeptical Science. Less than two weeks after the state’s senate passed a climate science-squelching bill, research shows that sea level along the coast between N.C. and Massachusetts is rising faster than anywhere on Earth. Could nature be mocking North Carolina’s law-makers? Less than two weeks after the state’s senate passed a bill banning state agencies from reporting that sea-level rise is accelerating, research has shown that the coast between North Carolina and Massachusetts is experiencing the fastest sea-level rise in the world. North Carolina’s senators, however, have tried to stop state-funded researchers from releasing similar reports. The law approved by the senate on 12 June banned scientists in state agencies from using exponential extrapolation to predict sea-level rise, requiring instead that they stick to linear projections based on historical data. Following international opprobrium, the state’s House of Representatives rejected the bill on 19 June. However, a compromise between the house and the senate forbids state agencies from basing any laws or plans on exponential extrapolations for the next three to four years, while the state conducts a new sea-level study. According to local media, the bill was the handiwork of industry lobbyists and coastal municipalities who feared that investors and property developers would be scared off by predictions of high sea-level rises. The lobbyists invoked a paper published in the Journal of Coastal Research last year by James Houston, retired director of the US Army Corps of Engineers’ research centre in Vicksburg, Mississippi, and Robert Dean, emeritus professor of coastal engineering at the University of Florida in Gainesville. They reported that global sea-level rise has slowed since 1930 ( J. R. Houston and R. G. Dean J. Coastal Res. 27 , 409 – 417 ; 2011) — a contention that climate sceptics around the world have seized on. 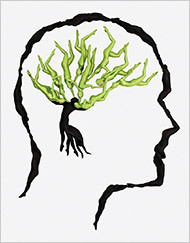 Speaking to Nature, Dean accused the oceanographic community of ideological bias. “In the United States, there is an overemphasis on unrealistically high sea-level rise,” he says. “The reason is budgets. I am retired, so I have the freedom to report what I find without any bias or need to chase funding.” But Sallenger says that Houston and Dean’s choice of data sets masks acceleration in the sea-level-rise hotspot. A valuable resource if you ever find yourself having to counter and debunk a myth and misinformation. It applies equally regardless of the type of myth in debate: Santa, creationism, UFOs, political discourse, climate science denial, science denial in general. You can find the download here. There’s something to be said for a visual aide that puts a complex conversation about simple ideas into perspective. 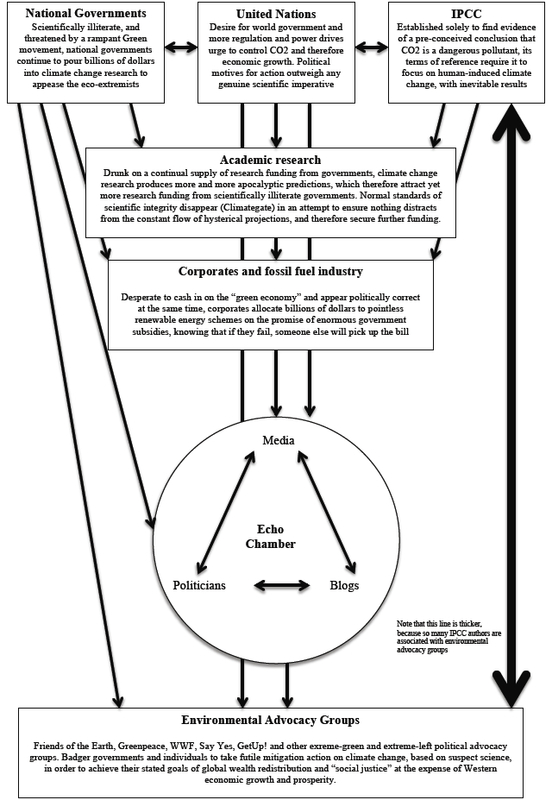 So, here we have a high-level flow chart that characterizes one on the most important debates of our time — climate change. Whether you are for or against the notion or the science, or merely perplexed by the hyperbole inside the “echo chamber” there is no denying that this debate will remain with us for quite sometime. While scientific evidence of climate change continues to mount and an increasing number of studies point causal fingers at ourselves there is perhaps another way to visualize the risk of inaction or over-reaction. So, since most people can leave ideology aside when it comes to their own health, a medical metaphor, courtesy of Andrew Revkin over at Dot Earth, may be of use to broaden acceptance of the message. It’s #$% hot in the southern plains of the United States, with high temperatures constantly above 100 degrees F, and lows never dipping below 80. 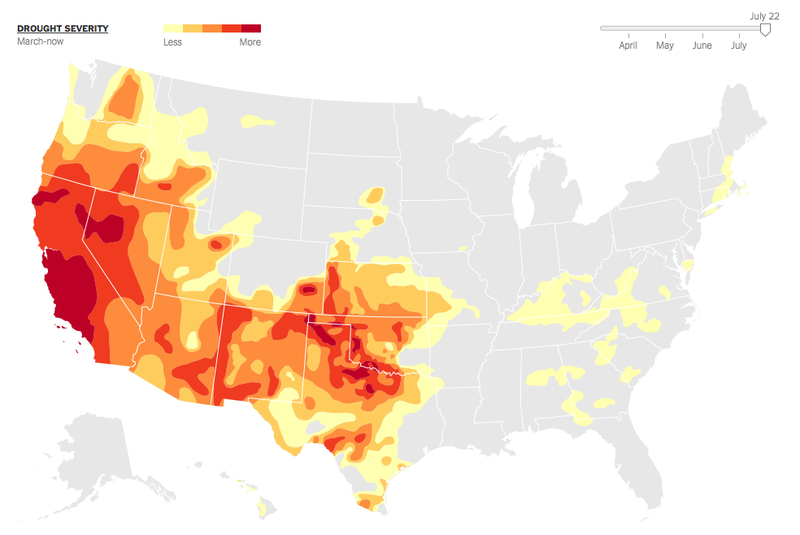 For that matter, it’s hotter than average this year in most parts of the country. So, a timely article over at Slate gives a great overview of the history of the air conditioning system, courtesy of inventor Willis Carrier. Until the 20th century, Americans dealt with the hot weather as many still do around the world: They sweated and fanned themselves. Primitive air-conditioning systems have existed since ancient times, but in most cases, these were so costly and inefficient as to preclude their use by any but the wealthiest people. In the United States, things began to change in the early 1900s, when the first electric fans appeared in homes. But cooling units have only spread beyond American borders in the last couple of decades, with the confluence of a rising global middle class and breakthroughs in energy-efficient technology. . . . The big breakthrough, of course, was electricity. Nikola Tesla’s development of alternating current motors made possible the invention of oscillating fans in the early 20th century. And in 1902, a 25-year-old engineer from New York named Willis Carrier invented the first modern air-conditioning system. The mechanical unit, which sent air through water-cooled coils, was not aimed at human comfort, however; it was designed to control humidity in the printing plant where he worked. In May, the United Nations’ International Panel on Climate Change made media waves with a new report on renewable energy. As in the past, the IPCC first issued a short summary; only later would it reveal all of the data. So it was left up to the IPCC’s spin-doctors to present the take-home message for journalists. The first line of the IPCC’s press release declared, “Close to 80% of the world‘s energy supply could be met by renewables by mid-century if backed by the right enabling public policies.” That story was repeated by media organizations worldwide. Last month, the IPCC released the full report, together with the data behind this startlingly optimistic claim. Only then did it emerge that it was based solely on the most optimistic of 164 modeling scenarios that researchers investigated. And this single scenario stemmed from a single study that was traced back to a report by the environmental organization Greenpeace. The author of that report – a Greenpeace staff member – was one of the IPCC’s lead authors. The claim rested on the assumption of a large reduction in global energy use. Given the number of people climbing out of poverty in China and India, that is a deeply implausible scenario. When the IPCC first made the claim, global-warming activists and renewable-energy companies cheered. “The report clearly demonstrates that renewable technologies could supply the world with more energy than it would ever need,” boasted Steve Sawyer, Secretary-General of the Global Wind Energy Council. This sort of behavior – with activists and big energy companies uniting to applaud anything that suggests a need for increased subsidies to alternative energy – was famously captured by the so-called “bootleggers and Baptists” theory of politics. The theory grew out of the experience of the southern United States, where many jurisdictions required stores to close on Sunday, thus preventing the sale of alcohol. The regulation was supported by religious groups for moral reasons, but also by bootleggers, because they had the market to themselves on Sundays. Politicians would adopt the Baptists’ pious rhetoric, while quietly taking campaign contributions from the criminals. Of course, today’s climate-change “bootleggers” are not engaged in any illegal behavior. But the self-interest of energy companies, biofuel producers, insurance firms, lobbyists, and others in supporting “green” policies is a point that is often missed. Indeed, the “bootleggers and Baptists” theory helps to account for other developments in global warming policy over the past decade or so. For example, the Kyoto Protocol would have cost trillions of dollars, but would have achieved a practically indiscernible difference in stemming the rise in global temperature. Yet activists claimed that there was a moral obligation to cut carbon-dioxide emissions, and were cheered on by businesses that stood to gain.